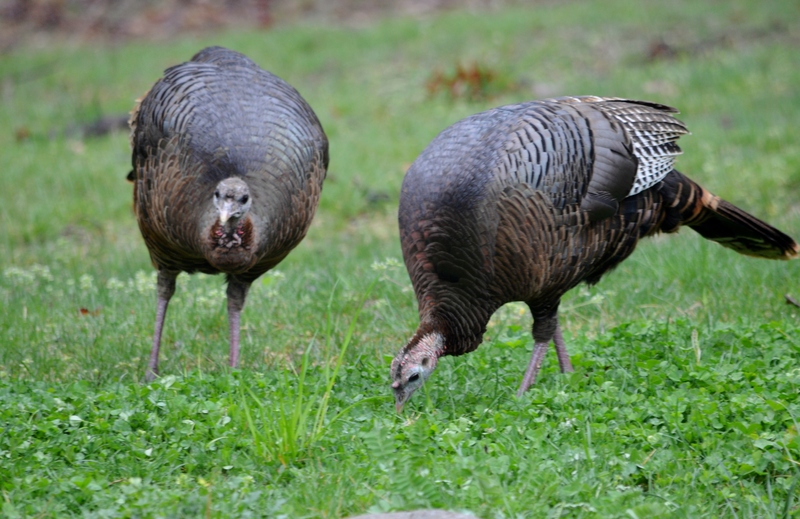 Two wild turkeys came wandering in the backyard today pecking at the stray bird seed on the ground. 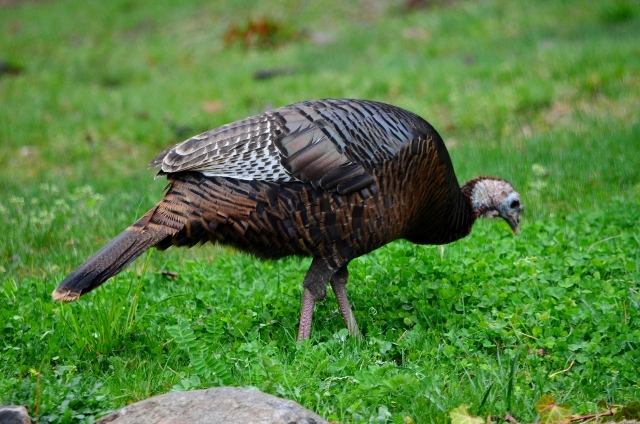 We have not seen the turkeys since last fall when we had groups of 20-30 roaming the yard regularly. One year on Thanksgiving day we had 30 turkeys in the yard, however we were satisfied with store-bought turkey rather than what was in the back of the house. As we get to mating season, the toms will begin putting on displays while the hens totally ignore them. The poor guys…. they try so hard. Frequently one of the toms will find his reflection in our glass door and begin pecking at the door trying to scare away the fine-looking turkey he sees in the door. As the children’s rhyme says, ” The turkey is a funny bird. His head goes wobble, wobble. And all he says is just one word, Gooble, Gooble, Gooble.” Happy Spring! Beautiful pictures. That is a bird we do not have in our yard. I wonder if we are too open. I love seeing the wild turkeys. When we lived here previously, we never saw turkeys. 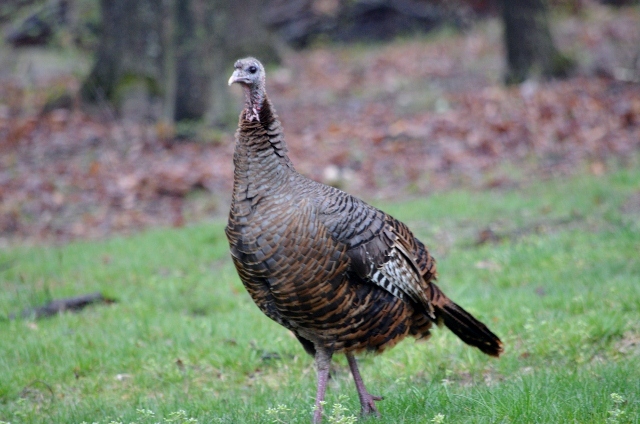 We returned to the area five years ago and the population of turkeys in this part of PA have really increased so now we see them fairly regularly. They like the woods and they roam over a fairly large territory. I still get excited whenever I see one.